When planning that all-important family vacation, a small Nordic island just outside the Arctic Ocean isn’t immediately going to spring to mind. Don’t be too hasty, though, do you want another boring, played-out vacation to some tropical island? Here are just a few reasons why you should consider Iceland as an alternative. Iceland lives up to its name most of the year round. It can be rather toasty during the Summer months, but unpredictably so. Does that torpedo your plans for a family vacation? Of course not. The people of Iceland have found ways to have fun whatever the weather, and in some cases with a little help of Iceland’s geothermal oddities. Tourist spots like the Blue Lagoon are a must-see. It can be the dead of Winter, and yet geothermal hot springs of the Lagoon will be steaming at an entirely comfortable heat for all to enjoy, and yes, they are blue. Take the family down to the Blue Lagoon for a dip in the hot springs, although you’ll have to be quick running from the changing area to the springs themselves. If the kids aren’t interested, maybe you and your partner could have a romantic evening in a private area of the Lagoon with a glass of wine, as you both enjoy the clear open-air view of the stars above. Iceland boasts one of the oddest geographical landscapes on the entire planet. Just a simple drive from the airport to your hotel will yield several changes that’ll make you wonder if you’re even in the same country as five minutes ago. 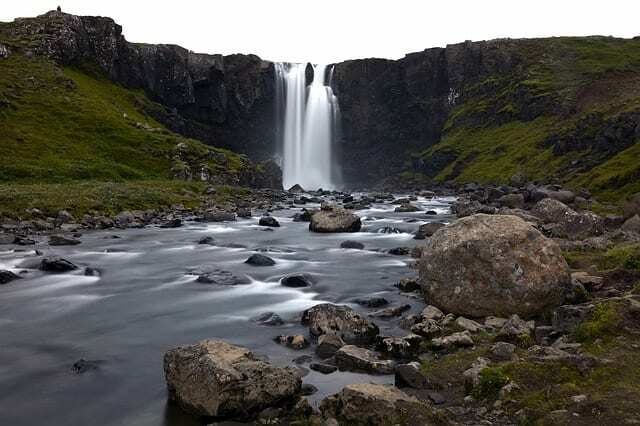 Vast plains can turn into rocky, cratered quarries, and then again into rivers, trees, and waterfalls. Going for a walk becomes a much more exciting family adventure where you do not see the same kind of geography over and over. Kids usually find those long exploratory walks around their surroundings boring, but not when the location seems to be morphing around them and igniting their imaginations. Keep a camera handy too; folks back home aren’t going to believe the sights you’ll have seen. 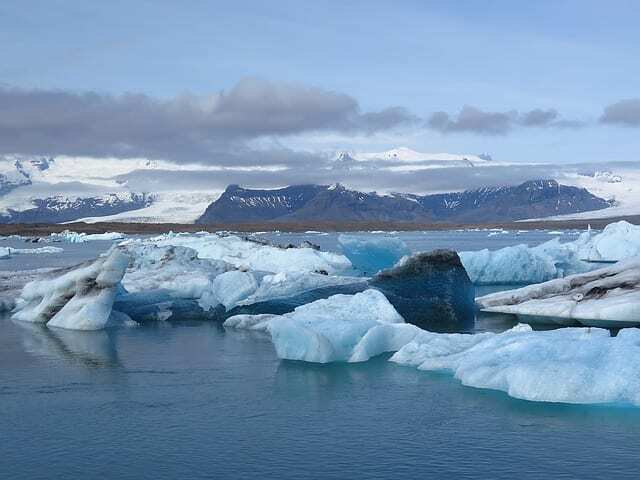 This may not be ideal if you’ve got a relatively young family, but if you’ve got teenagers and young adults coming with you, they might be very gung-ho about the idea of visiting Iceland to enjoy one of the many music festivals that visit the island. While some of the festivals are of course based around Iceland’s traditional music scene, you’ll find others that are entirely contemporary, varied, and modern. Iceland’s strong music culture means it can draw some of the biggest bands in the World. Radiohead most notably played there in recent years, along with a whole host of electronic music acts from around Europe and the rest of the World. Checking out a music festival with the kids might be a little odd, and more than likely you’ll be interested in different genres, but there’s certainly room for the whole family to come together and enjoy something. What’s the big deal about picking Summer or Winter for your family vacation to Iceland? The events and locations you can attend are largely the same, but what makes these seasons distinct are reasons to visit in themselves. During the Winter, Iceland gets a perfect view of the Northern Lights. It’s arguably the best view of the Lights you can get without actually going to the Arctic Circle itself. The family won’t forget a sight like that anytime soon. What about the Summer, though? It’s not as spectacular, but the long Summer days of Iceland are a tremendous novelty. At the peak length of these days, the sun will set at midnight only to rise again three hours later. You may have to invest in a few sleeping masks to keep the light out, but you won’t have to worry about it getting dark when you’re out late. It’s unusual to visit a country for its people, but you’ll find the residents of Iceland highly hospitable. A vast majority of the population speaks English as a second language because of the massive influx of spoken-English media in the country, so you’ll not have to worry about a language barrier. Still, it might be polite for the family to try picking up on a few Icelandic phrases to impress the folks back home with. The Icelandic people are pretty endearing with their oddness too. Turns out being snowed in most of the year round can make people a touch eccentric. You can find odd curiosities like a bar dedicated to the Coen Brothers movie The Big Lebowski, complete with an appropriately themed White Russian bar. Not only that, but you’ll find one of the biggest events in the social calendar is a convention based on an Icelandic space simulator video game.